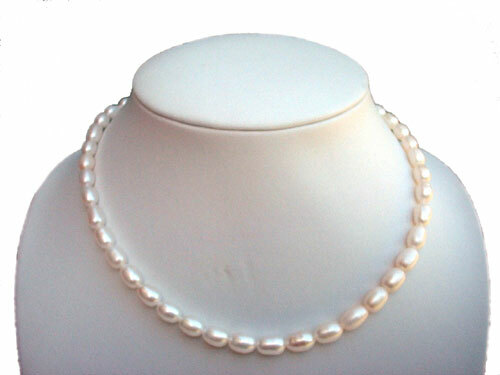 Elegant and delicate, this pearl necklace is made of 6-7mm AA+ rice pearls at 16 inch long. 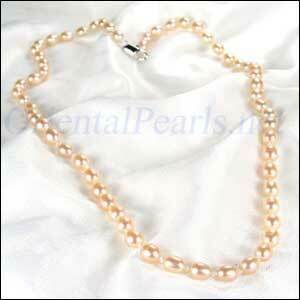 The pearls are AA+ high quality, they have very high luster and with hardly any visible surface markings. 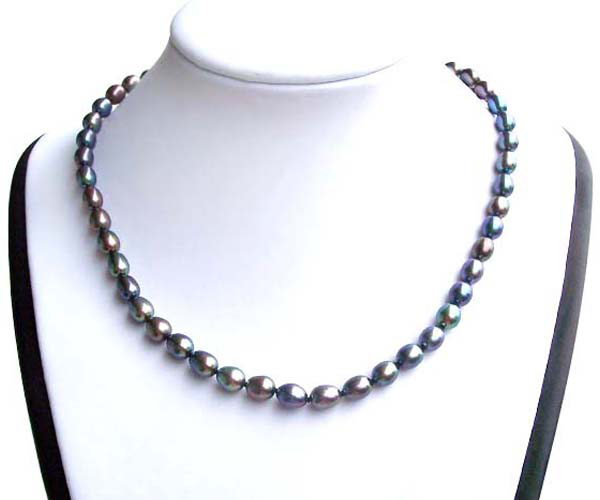 The necklace is finished by a sterling silver lobster claw. 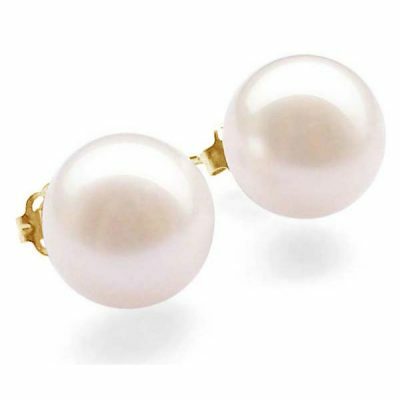 Match the dangling necklace with a pair of pearl earrings or a bracelet to get a completed outlook. Or just type “ZEA1003d” or “ZBRA1023” in the search box for “Product No”. 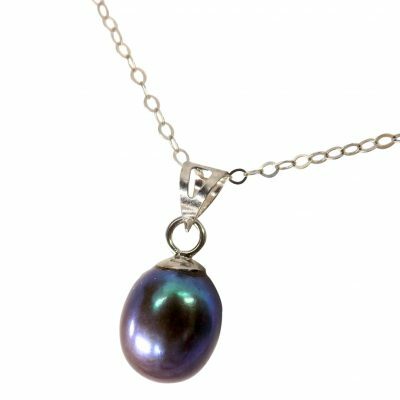 If you would like the big sized rice pearl necklace in the same design, just type “AMLH1070” in the search box for “Product No”. Several colors of pearls are available for you to choose from, pink, lavender, white, black, champagne, and chocolate. 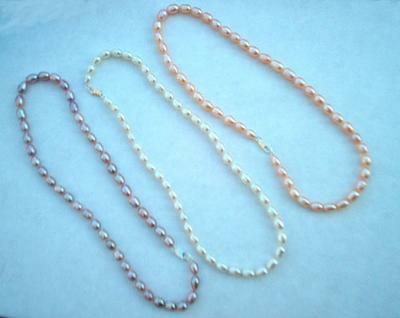 You may also order length that you would like. Every extra inch costs $3.00 only. 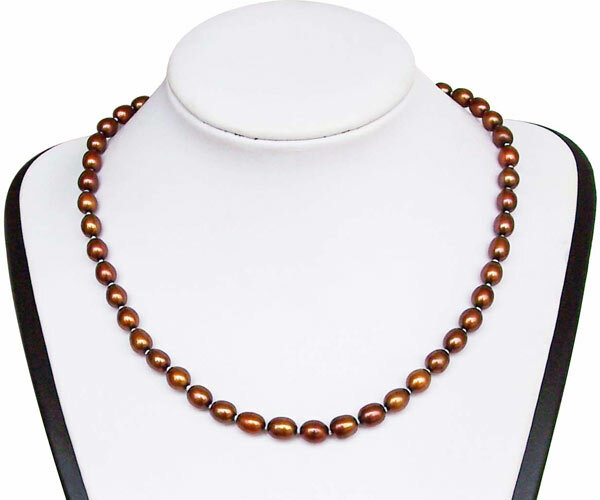 It will take only a few extra days in addition to whatever type of shipping method that you choose from.